There are plenty of reasons to get annoyed with the kings of messaging WhatsApp and Facebook Messenger. It seems impossible for a messaging app to exist that is a perfect fit for all of us as something like the ability to know when people are ignoring us has proved to be a major headache and an issue that seems impossible to solve to the satisfaction of all. When Facebook co-founder Mark Zuckerberg decided to acquire WhatsApp for a total price of $19.6 billion it became the largest purchase Silicon Valley had ever seen and added hugely to the Facebook portfolio that also includes Instagram and is reportedly striving to add Snapchat. 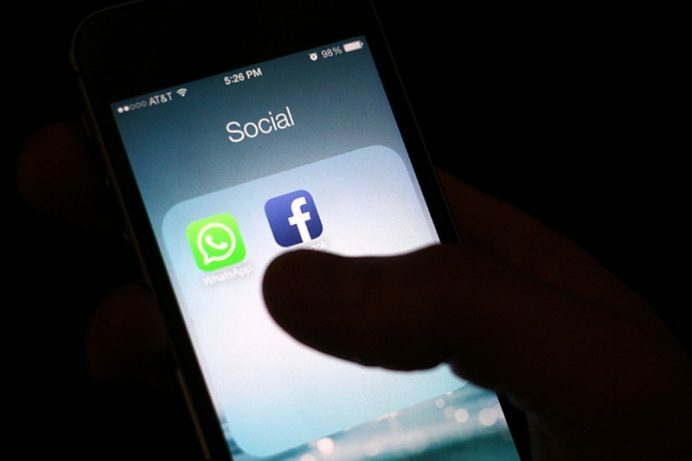 With WhatsApp proving more popular than Facebook messenger in emerging markets, it was a deal that made sense, as Facebook would gain 450 million new users and be able to use their seemingly bottomless resources to expand the platform and reach one billion users. Yet with people asking questions about the security and privacy functions of both WhatsApp and Facebook Messenger, Zuckerberg’s plans to be the numero uno world messaging service could take a hit from alternative suppliers. Here are three alternatives that you might not have considered and could be future contenders. The LINE messaging app is already hugely successful in Asia and with 217 million monthly active users and a reported 560 million registered users this is no small threat to the current kings of messaging. It is available across all major networks and mobile platforms and has a desktop option for Windows and OS. It gives you the ability to do all the usual things such as sending messages, photos, videos, voice calls, and video calls, but with LINE all these features are free of charge. One of its most popular features is the sticker shop where users can collect a range of different static or animated stickers that can easily be used when chatting and are often available free of charge. A little out of left-field, but there are some very good reasons why the chat room could be making a comeback to be of greater value to people that the current messaging systems. Chat rooms are formed of people on the same wavelength or with a vested interest in a particular thing and therefore represent a great opportunity to chat on a range of subjects with like-minded others. A good example of this in action can be seen with the no deposit bonus online casino mFortune who offer chat rooms for their online Bingo players. Presumably, this was done in order to replicate the social features of the game and it appears to have worked as over 70% of mFortune Bingo players participate in the chat rooms and there is an automatic dabber function that enables players to chat and play at the same time. Chat rooms like this should become more prevalent as we seek to chat with compatible soles and employ the multi-task functions our phones and brains are becoming ever more capable of performing. Google might insist that Facebook paid too much for WhatsApp, but there is little doubt that they wanted it too, but valued it far less. While Facebook and WhatsApp reside atop the messaging app throne there is no doubt Google want to challenge for the crown and their latest messaging app might just do it. Google Hangouts was a messaging service that essentially replaced Google Talk and was a little underwhelming, although the multi-person video chats were a good option. Google Allo has a range of features that you’ll either love or hate, such as Smart Reply which learns your common reply responses and offers these to you in a single tap. There are some interesting options to doodle on photos, add colour and create memes, along with a range of stickers that proved such a draw for LINE users. Reviews have been mixed, but the Incognito encryption feature could be the one that draws users away from WhatsApp and Facebook Messenger to signal a win for Google. There are always going to be elements that you dislike about a messaging app, but there are options out there and making the switch just isn’t the headache people assume it will be. These three very different options prove that not all messaging services are indistinguishable from each other and that those who shop around can find something much more suited to their needs and lifestyle.